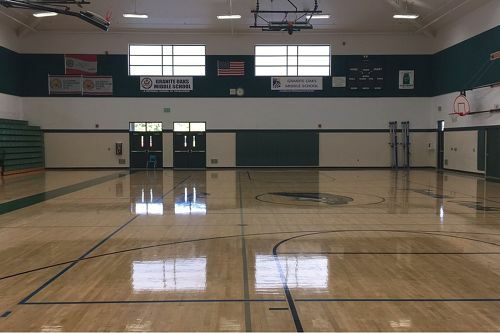 The main gym can accommodate basketball and volleyball practices, as well as games. 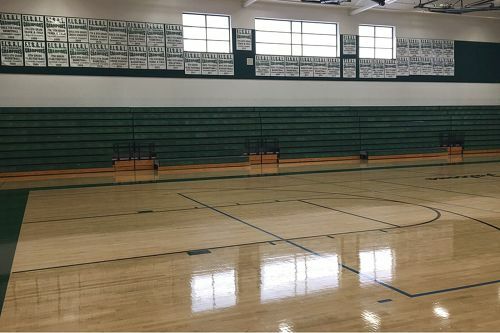 This gym comes with a scoreboard, clock, one set of bleachers, heat/AC, and includes locker rooms. 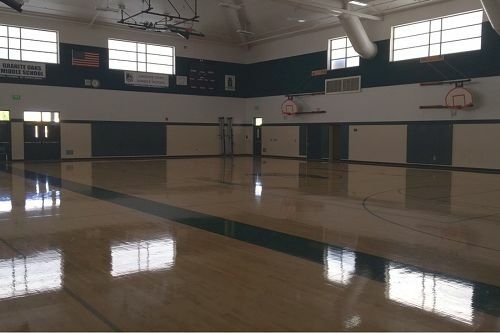 The gym connects to the MPR and it includes a main basketball court as well as 2 smaller ones. 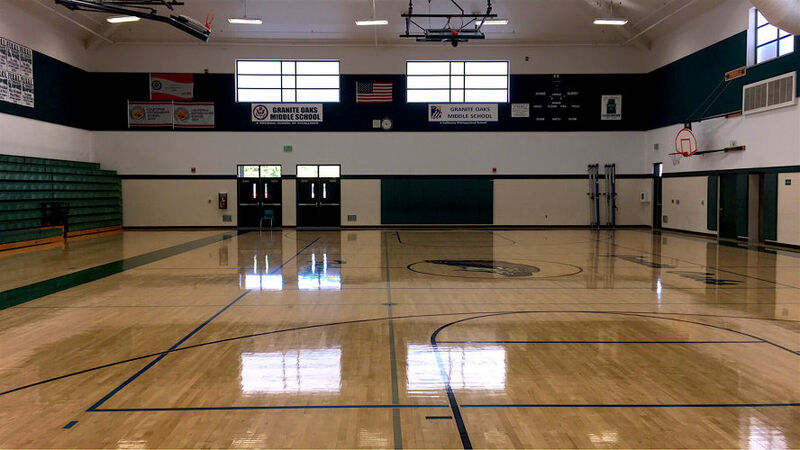 Please describe in the comment box below what event you plan on hosting so we can set up accordingly.